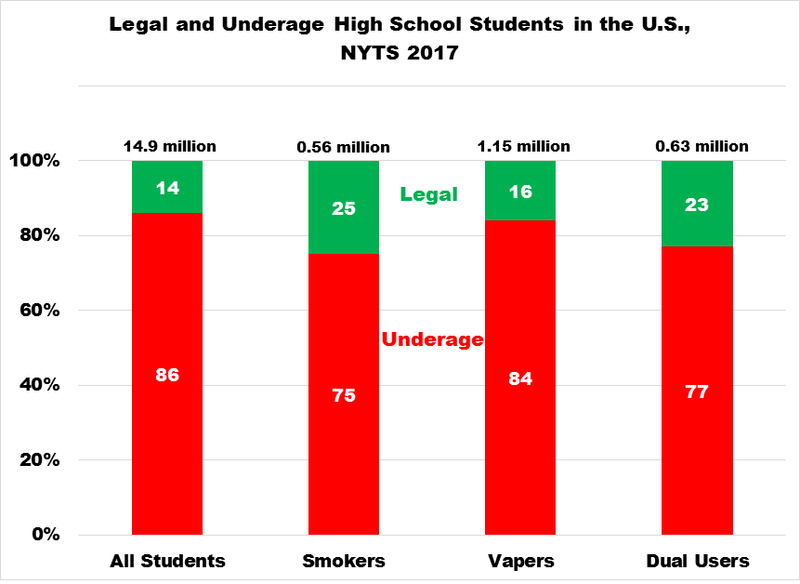 Sixteen percent of high school exclusive vapers in the 2017 National Youth Tobacco Survey (NYTS), or 184,000 out of 1.15 million, were 18 years of age or older, meaning that they could buy tobacco products legally. Legal-age students also constituted one-quarter of high school smokers and 23% of dual users, according to the NYTS and shown on the chart at left. Legal-age students are themselves the most common source for e-cigarettes among underage students, as the following table shows. 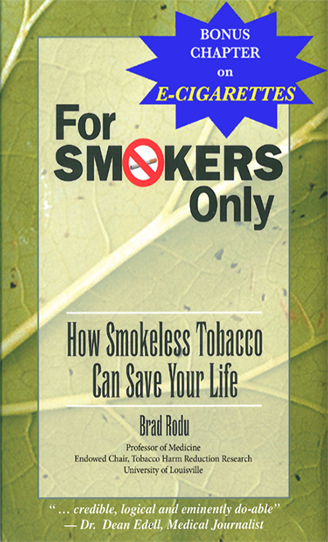 The majority of underage students (74%) obtained e-cigarettes from family members, friends and others. The next biggest source was vape shops (12%). The Internet, which was singled out by FDA Commissioner Gottlieb in his recent announcement, was the source for fewer than 5% of underage vapers. Retailers must stop selling e-cigarettes to underage youths, and the FDA is responsible for enforcing that rule. However, it is critical that regulators and the public address the fact that friends and family are the biggest contributors to underage use. N.B. Thanks to Bill Godshall for suggesting this assessment.